Sad commentary of a Lawman who believes the Law applies to everyone but himself. A proven Liar, Leaker and Manipulator who turned the FBI into a Political Hit Squad for the Democrats. Comey compared Trump’s presidency to a “forest fire” during the “20/20” interview — blasting the commander in chief for everything from his problematic legal issues to his treatment of women. “I think he’s morally unfit to be president,” Comey said. “A person who sees moral equivalence in Charlottesville, who talks about and treats women like they’re pieces of meat, who lies constantly about matters big and small and insists the American people believe it, that person’s not fit to be president of the United States, on moral grounds,” Comey added. ABC’s George Stephanopoulos asked the former FBI director whether Trump was “obstructing justice” when he asked Comey to let former National Security Adviser Mike Flynn off the hook. The former fed also expressed his astonishment with Trump’s relationship with the truth. 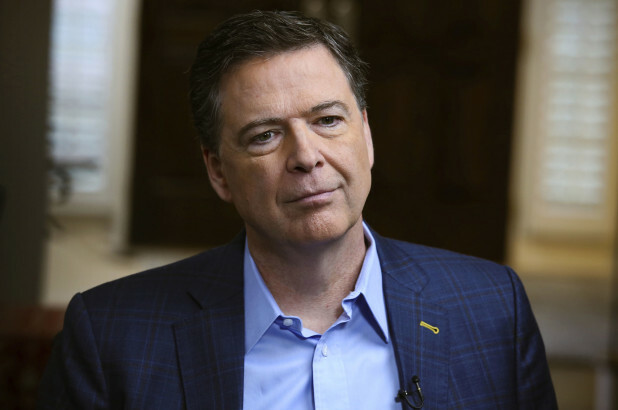 Comey’s interview aired Sunday as he continues to promote his new book, “A Higher Loyalty: Truth, Lies and Leadership.” The show came just hours after President Trump teed off on him in a series of blistering tweets. Earlier Sunday, Trump had preempted Comey’s interview with a series of angry tweets. “I never asked Comey for Personal Loyalty. I hardly even knew this guy. Just another of his many lies,” Trump tweeted. Later on, the president branded Comey as a historical failure at his job leading the FBI.